I really love this stamp set. I’m not actually into the ‘cutsie’ style however when this set was originally released in a mini catalogue last year, I ALMOST bought it. Then when it was included in this years main catalogue I again ALMOST bought it. Then last month it was one of the stamp sets included in the 20% special. That was good enough for me! 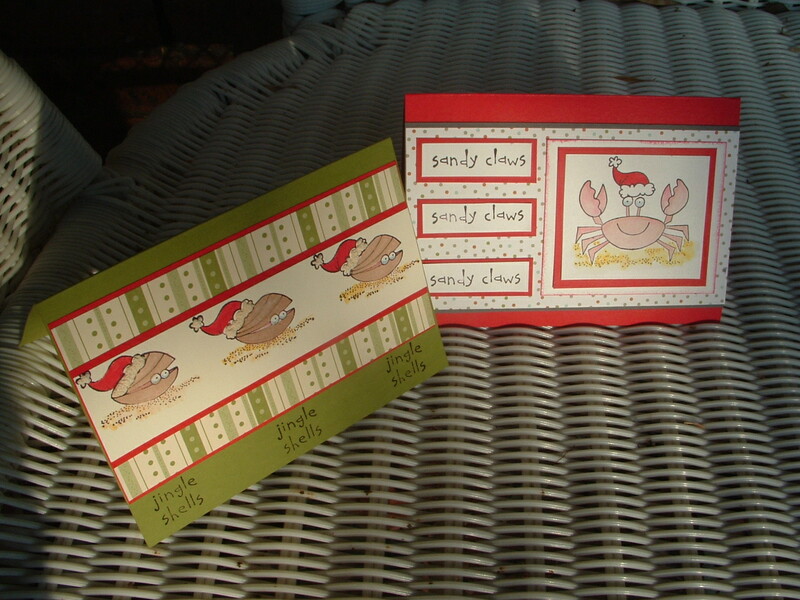 These are two really cute christmas cards. Both have been watercoloured with an aquapen and stamp pad ink. Tip for the watercolourists – don’t accidently pick up the aquapen that you have filled with bleach. I could’t work out why the more I coloured the more the paper faded. I’m not always the sharpest tack in the box!!!! My apologies for the quality of the photograph. It was taken VERY early this morning whilst the sun was just peaking through the trees and it was still quite foggy. Sign of another hot day coming up. Hope your day is good with whatever you are doing today.